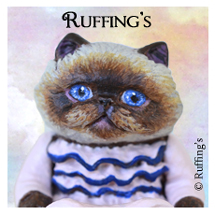 Just a quick note for those of you waiting to see our new dolls finished…They are still in progress and I will be sure to post a note here and on our Ruffing’s blog when we’ve got them finished and photographed. I was under the weather for a couple of weeks, and I’ve been in slo-mo. 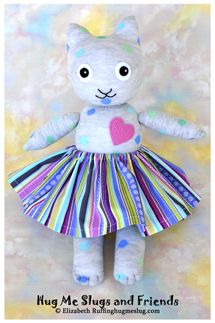 They’ll be posted in our doll gallery too. Just so you know you haven’t missed them. I decided today was going to be muffin day. I’ve been saying I’m going to make muffins while watching my ingredients expire. 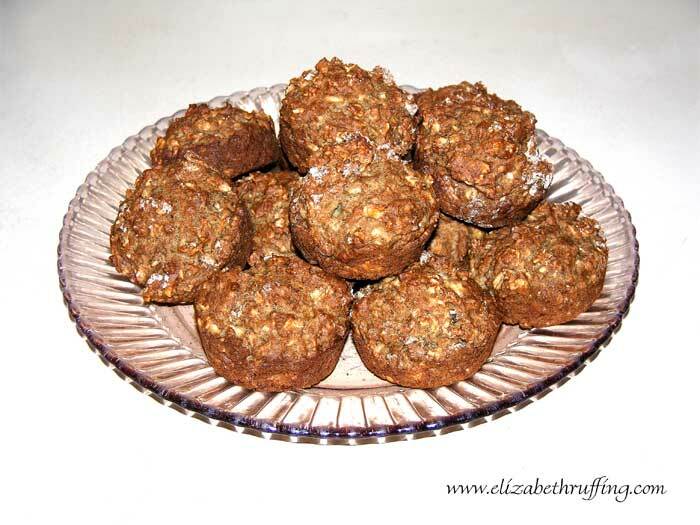 I was going to go all out and make two kinds today, but I just made these Banana Oat Muffins from Deborah Madison‘s Vegetarian Cooking for Everyone. I didn’t do her muffin recipe justice last time. So, this time, mid-recipe, when I saw my ingredients were, once again, over-the-hill, I just drove to the store and bought new ones. I found some King Arthur Unbleached White Whole Wheat Flour, which I’d never tried before, and used that. 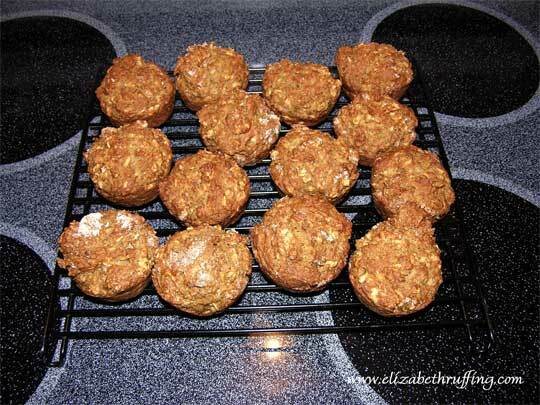 It seemed to give them a lighter taste and a finer texture than when I tried them with regular whole wheat flour. The recipe recommended whole wheat pastry flour, which I haven’t seen. I also used less nutmeg and added a little cinnamon, but only because I don’t go for nutmeg in a big way. They came out nicely, not so sweet, more like a muffin to have with eggs, or another breakfast food. I keep feeling that there isn’t any reason I’m not making more home-cooked foods, except that I’ve gotten lazy about it. And muffins are easy! I’ve been trying to add more vegetables to my diet too, and trying to have a mixed plate of vegetables for lunch each day. A friend sent me an interesting video from Mark Bittman on what’s wrong with what we eat. It’s about twenty minutes, but I felt it was worth watching. He talks about how we need to eat less meat, more plants, less fast food, and more home cooking, not only for the sake of our own personal health, but for the sake of our environment. He makes a case for becoming at least a partial vegetarian, but he keeps his focus more on our health and our world, for anyone worried about being upset by watching a video on that subject. Anyway, I’m trying to do better in those areas.